Do I have to spend money to use NeonMob? 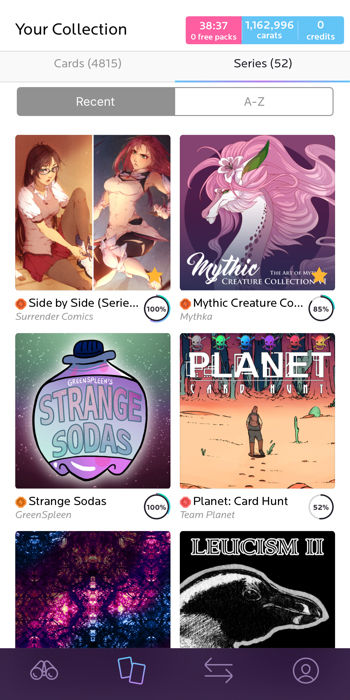 NeonMob is free-to-play for all collectors and you don’t need to spend any money to use NeonMob. Collect free packs, trade with other collectors, discover art, and build a collection without ever spending a dime! Look for the blue “Open Pack” button when browsing NeonMob and you can open free packs to collect that series. Want to supercharge your collection? You can use credits to open additional packs. Unlike free packs which are typically limited to three per series per day, there is no limit to the amount of paid packs of a series you can purchase in a day. Purchase credits by clicking the “Buy Credits” button on the top right of the navigation bar or on the open pack screen. We're so glad you asked! 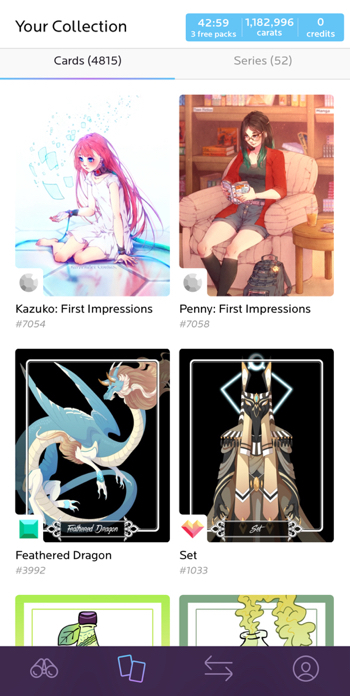 Yes, we do have a mobile app for iOS — download NeonMob Trading Cards for iPhone right here in the App Store. Our Android app is no longer in development. We may develop an Android app in the future, but for now we are focusing our efforts on our website and iOS platforms. How do you collect cards on NeonMob? Every day, collectors receive dozens of free packs that they can redeem on hundreds of eligible series. Free packs contain original, numbered cards of varying rarities from Common to Chase. On the web, look for the blue “Open Pack” button to identify an eligible series and to open a free pack. When you are browsing any of the Collect categories, eligible series with available free packs will show you a blue “Open Pack” button below the series cover photo. Series with lavender “Open Pack” buttons do not have available free packs for you to open, but will have carat and paid packs still available for collection. Once you click the “Open Pack” button, you will see all your available pack options for that series. Besides free packs, carat packs and paid packs are also available. Carat packs allow collectors to spend carats in order to open additional packs of available series. Paid packs provide collectors with better odds of receiving higher rarity cards than base packs. There is no limit to the amount of paid packs you can open in a day. Purchase paid packs by using credits. When you are collecting on iOS, look for the blue dot in the upper left hand corner of each series cover photo. This blue dot indicates an eligible series with available free packs. Clicking on the series cover photo will take you to the series page. Press the “Open a Pack” button located at the bottom of the screen to open a free pack. Once you click the “Open a Pack” button, you will see all your available pack options including free, carats, and paid packs. What is the difference between unlimited vs. limited edition series? Many series released on NeonMob are unlimited, which means they will never sell out and there is no limit on how many cards are produced for collectors. However, each unlimited edition series is only available to collect for a specific amount of time; once the time frame for collection has passed, the series will go out-of-print for collectors. Because unlimited series never sell out, they can be re-opened for collection at a later date. Some series released on NeonMob are limited edition collections, meaning that each card in a limited edition series has a finite number of copies created for distribution. Once all the packs in a limited edition series have been opened by collectors, the series is sold out forever and will go out-of-print for collection. Because limited edition series have a finite number of cards available, many collectors consider these cards to be more valuable than unlimited series. Limited edition series cannot be re-opened for collection as no additional cards will be produced. With both unlimited and limited edition series, once a series is out-of-print the only way to collect cards is to trade with existing owners. Why can I no longer get free packs of some limited edition series? Each limited edition series published on NeonMob contains a finite number of free cards and packs created for distribution. Once the predetermined number of free cards has been collected, free packs are no longer available to open as they have sold out for this series. If free packs are no longer available, you may still be able to purchase paid packs of the series to complete your collection. Most limited edition series reserve a certain percentage of cards for paid packs to help ensure our creators are compensated for the work they share on NeonMob. Creators receive royalties for each paid pack sold for their series. If a limited edition series is entirely sold out of both free and paid packs, trading with other collectors will be the only way to obtain cards from the series. Unlimited series will never sell out of free packs as there is no predetermined number for how many cards are produced for collection. These series will go out of print once their collection period has ended. Once an unlimited series is out of print, packs are unavailable to open and trading with other collectors will be the only way to obtain cards from the series. What are the series difficulty ratings? Each series is assigned a rating to indicate how difficult it is to collect all the core cards of a series (common through extremely rare) in the allotted time frame utilizing only free packs, carat packs, and trading. Series difficulty is based on many factors including the total number of cards in the series, the amount of time the series is available for collection, the rarity distribution of cards in the series, and more. The number of chase or other special cards does not factor into the difficulty rating as the series complete milestone is based only on collecting all the core cards of a series. Series difficulty ratings are color coded and appear as a badge in front of the series name on all sections of the website and on the collect screen on iOS. On the website, you can hover over the difficulty rating icon to reveal the rating name. The series difficulty rating determines the bonus multiplier for series milestone rewards and how many carats you will receive for achieving those milestones. The more difficult a series is to complete, the higher the bonus multiplier. The higher the bonus multiplier, the higher the number of carats awarded for achieving each series milestones. For example, you will receive more carats for achieving the All Commons milestone for a series rated “hard” than you would for a series rated “easy” based on the bonus multiplier of the difficulty rating. The bonus multiplier affects all series milestones. Please note: The pack odds are based on the total number of packs opened throughout the entire community, not the number of packs a collector opens individually. Each limited edition series has a different, finite number of cards and packs available for collection so pack odds vary series-to-series. Because there is no print limit for cards in unlimited edition series, the pack odds are the same across all sets. The series detail page for limited edition series shows the number of cards of each rarity along with the odds of receiving a card of a particular rarity when opening a pack from that series. The pack odds can be found to the right of the Series Details section below the series banner. Click on "Pack Odds" to see pack odds for paid packs or click on "Free Pack Odds" to see pack odds for free packs. Below is an example from Space City: Zoitrus showing paid pack odds. You can also find the pack odds for limited edition series when opening a pack. Below is an example of the “Pick a Pack to Open” screen for Space City: Zoitrus. For both the free and paid options, you will see a blue “% odds” link between the series cover and the button. Click on these links to see the pack odds for both free and paid packs. For unlimited edition series, you can see the pack odds for each different pack option from the “Pick a Pack to Open” screen. Similar to limited edition series, you will see a blue “% odds” link between the series cover and the button for each option. Click on this link to see the pack odds. Remember, the pack odds are the same across all unlimited edition series because there is no print limit for cards or packs. 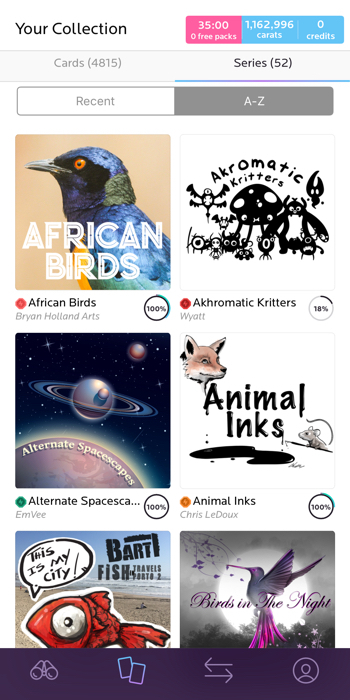 On NeonMob, there are five "core" card rarities: common, uncommon, rare, very rare, and extremely rare. There also exist two types of "special" rarities: chase and variant. A variant is a special type of rarity that indicates the card is a variation of a core card in the same series. The underlying artwork is the same, but the artist has presented the image in a different way from the original core series card. In the example below, you can see "Cooz" and its variant "Cooz [Sketch]". Variants are created at the discretion of the artist and are not found in every series. Why does the rarity of a card matter? A card’s rarity gives collectors a general idea of the odds of receiving that card type when opening a series pack. The higher the rarity, the lower your odds of receiving one in a pack. Higher rarities such as extremely rare or chase cards are intrinsically more valuable to collectors because there are less of them made available to collect. In other words, lower supply = higher value. The rarity of a card matters most when trading with other collectors as it is a good indication of the card's value to the collecting community. You will find the most success when offering balanced trades based on card rarities and series type: unlimited vs. limited edition series. Please note: For limited edition series, rarities are only relative to other cards within the same series because each limited edition series has a different, finite number of total cards available for collection. For unlimited edition series, rarities are the same across all sets. Within the same series you can assume that cards of the same rarity are equally weighted. In other words, one rare is just as difficult to acquire as another rare in the same series. So when you are trading within the same series, it is easy to gauge the value of a card relative to the other cards in the series … common = common, uncommon = uncommon, and so forth. But what about when you are trading across different series? Differences in the number of total cards in a series, rarity distribution between series, number of prints of a specific card, series run time, and other factors all contribute to how difficult any one card is to find. For example, the image below shows a trade between collectors with two extremely rare cards from different series. Although each card is extremely rare, these cards are not equally hard to find because of the number of prints for each card is not equal. In the example below, this extremely rare “Air Joe” card is more scarce in comparison to the extremely rare “KEV-19” card because only 200 copies of this “air Joe” card exist while there are 1200 copies of the “KEV-19” card in circulation. Remember, some cards can have thousands of copies while others have just a few hundred or even just a few dozen … this happens with limited edition series. Some cards have no print limit at all … this happens with unlimited edition series. So when you are trading across different series, be mindful that cards of the same rarity might not be equally hard to obtain or may be more valuable to collectors because of their scarcity. How do I view my collection? To view all the series and cards in your collection on the website, go to your profile page by clicking the diamond logo in the top left corner and selecting the "View a Series..." dropdown list. This menu displays all the series you have in your collection alphabetically. Scroll through the menu and click on the series you would like to view to be redirected to that series detail page. Another way to view your collection is to click on the “YOUR COLLECTION” link in the top navigation bar on the website. This page displays all your series along with sorting options in the Series Finder to quickly locate the series for which you are searching. To view all the series and cards in your collection on iOS, click on the dual cards icon in the bottom navigation to visit the Your Collection section. You will see the latest cards added to your collection in the Cards section by default. Click the Series option to see all the series in your collection. You will see the most recently collected series in the Recent section by default. 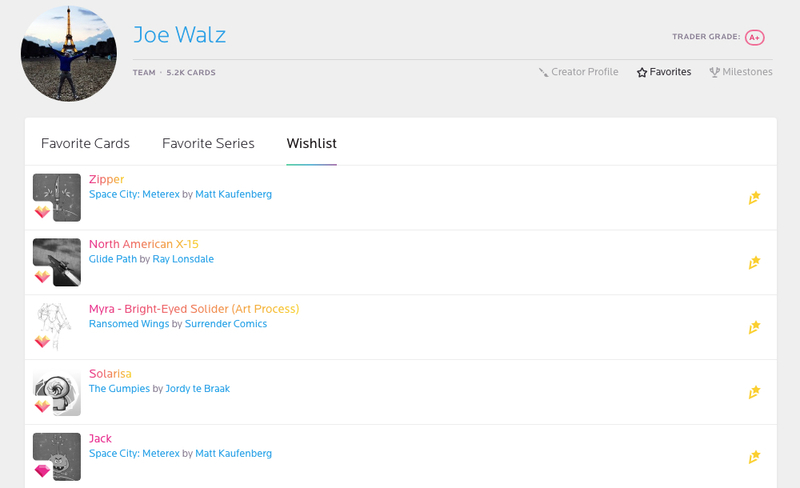 Select the A-Z option in the Series section to see an alphabetical list of all the series in your collection. How do I use the series finder? The series finder page will default to your recently collected series. In the filters section, the first button is labeled Favorites. Click this to display all the series you have marked as a favorite. Click this a second time to reset. ... Click the Incomplete / Complete toggle again to display all the series you have collected with a 100% completion percentage for core cards. Click the toggle a third time to reset. ... Click the Available / Unavailable toggle again to display all the series you have collected that are now out of print. Click the toggle a third time to reset. Use the Sort By option to reorder your series by Recently Collected, Percent Completed, Release Date, Difficulty, or Alphabetical. After selecting one of these parameters, you can reorder further by clicking on the arrow that appears in the menu. The example below shows the collection sorted alphabetically A-Z. You can also use these options together to further refine your search. The example below shows all series that are Favorited, Incomplete, with cards Available for collection, sorted by oldest Release Date. Mix and match buttons and toggles to find the exact series you are looking for quickly and easily. How do I use the series sorting features? Hover over the series cover photo and click the center Your Cards button as illustrated in the image below. Clicking the Your Cards button takes you to the series overview page. This page displays all the cards you have collected for the series alongside empty spaces showing which cards are still needed to complete your collection. Filter options are located in the two rows above your collection. Beginning on the top left, the first button will take you back to the main collections page. The next button to the right is the series progress meter; this is the circular icon surrounding a percentage from 1-100%. The percentage is the total series completion for core cards only; see the Special Series Progress ring to see completion percentage for special cards. Click on this icon to see progress details. The center option on the top row is the Series Select Menu. From the series overview, you can use this menu to jump to any other series. Click the arrow icon on the right side of the menu to see an alphabetical list of all the series you have collected. Browse this menu to find the series you would like to view and click the series name to see the series overview. Once you have selected the series you would like to view, you can use the Sort by… option to reorder the cards in the series alphabetically, by rarity, or by copies owned. After selecting one of these parameters, you can reorder further by clicking on the arrow that appears in the menu. In the second row of filter options, the first button on the left is Favorites. Clicking this will instantly display all the cards in this series that you have marked as favorite or wishlist; empty spaces are wishlist cards. ... Click the Unowned / Owned toggle again to display all the cards you already own in the series. When displaying owned cards, the toggle will display a checkmark as well as the word Owned. Click the toggle a third time to reset. The third button in the second row is marked “x2” and stands for duplicates. Click on this button to display all the cards collected in this series with more than one copy. Click this toggle again to reset. The rectangular box containing gemstones is the rarity filter. Each gemstone reflects a different card rarity in ascending ordering from common to chase (or variant, if applicable). Click on a gemstone to display all the cards of that rarity in the series. By using our sorting filters, you can mix and match buttons and toggles to find the exact card you are looking for quickly and easily. There are a few other buttons on the series overview page we would like to mention. The first is the Open Pack button in the top right of the filter options. Clicking this will take you to the open pack selection screen for this series so you can open or purchase a pack. If the series is out of print, this button will be greyed out and will read OUT OF PRINT as in the above images. Below this button are two icons: on the left is a trophy icon; on the right is a checklist icon. The checklist icon links directly to the full series page to view series details from the artist, a checklist of cards, and recent collecting activity. The trophy icon displays the series milestones. Icons will fill the milestones you have completed, as seen in the example below. Clicking the two cards icon will take you back to series overview page. What is my display case and how does it work? Your display case appears at the top of your profile page. It's a great way to show off some of the cards in your collection. By default, the display case will select random cards from your collection to display. You can expand the display case by hovering over the the display case and clicking the down arrow. You can also manually select which cards to display by clicking the Edit button in the bottom right corner. The display case will highlight eight of the cards from your series. You can replace any item in your display case with a random or specific print by clicking the "Replace" button. Once you click the Replace button, you will see various search options in the dropdown menu. Click on the LET US PICK FOR YOU! button to randomly select a different image to feature. If you know the card name, you can enter it in the “Search for cards …” field. To browse all the cards in a particular series, click the “Show all Series” dropdown to find the series you want to select. Scroll through the card results and click on the card you would like to select. Once you have set all the images in your display case, click on the Done button in the bottom right hand corner to save your changes. How can I use the art/cards in my collection outside of NeonMob? All the artwork found on NeonMob is owned by NeonMob, the creators, and/or 3rd parties that have licensed their work to NeonMob. Commercial or unauthorized use of the content on NeonMob may violate copyright, trademark, and other laws. You may not use any of the cards/artwork on NeonMob in any connection to a company or product you are promoting, selling, or otherwise represent. For details, see our Terms of Service. Outside of NeonMob, you may view and display your collection non-commercially. For use of cards/artwork on social networks, it is required to attribute NeonMob and the original artist and to link back to the original source on NeonMob. The easiest way to do this is to use the sharing functionality available on each card. Go to Your Collection, click Your Cards on the series you would like to view, and click on the card you would like to share. Click the Share button on the card you would like to share to access the social media prompts. Go to Your Collection and select the card you would like to share. Click on the Share icon in the top right corner to access the social media prompts and other sharing functionality. Questions about sharing NeonMob content? 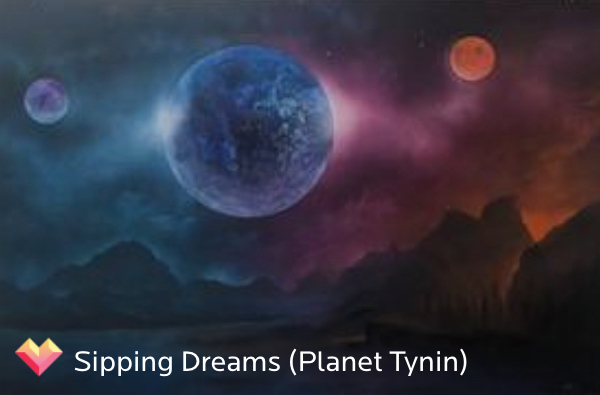 Please contact us at feedback@neonmob.com. How can I earn more packs? You can gain additional free packs every day by participating on NeonMob and receiving a streak bonus. Open a pack every day to keep your streak going! Carats will be your main way to get more packs. Carats are a rewards currency that you can redeem for additional packs or other items. Currently, you can earn carats by discarding unwanted or duplicate cards from your collection or by completing series milestones while collecting. We are continually working to expand our carats reward system for collectors so keep an eye out for future earning opportunities! Return to NeonMob day after day and receive a streaks reward! Your streak begins the first time you open a pack; on that first day, you will automatically receive one free pack as a reward for collecting. Come back the next day and open a pack, you will automatically receive two free packs. Keep your streak going by opening at least one pack every day and see your rewards increase! Miss a day and you’ll fall back to 0. Open packs every day to keep your streak going!